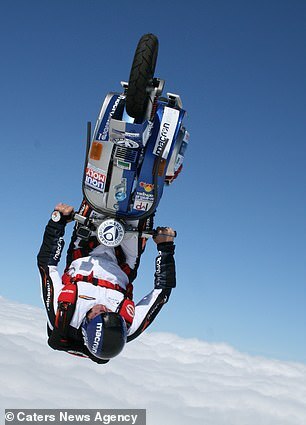 The Austrian stunt rider can then be seen spinning in circles and doing handstands on the scooter’s handle bars. 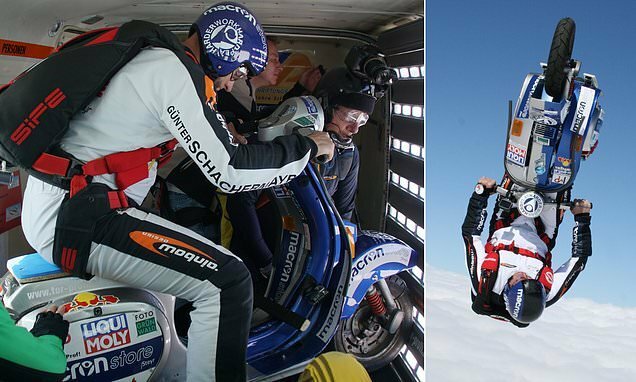 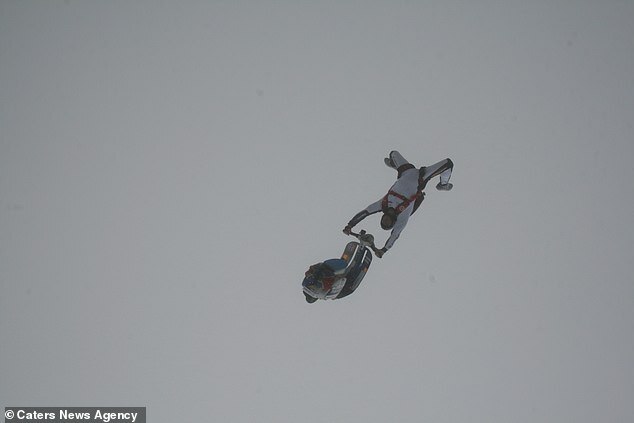 Several cameras, set up on the plane and scooter, capture the terrifying stunt from different angles. 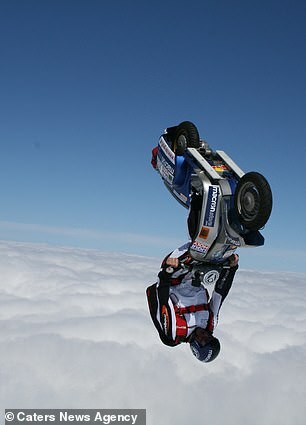 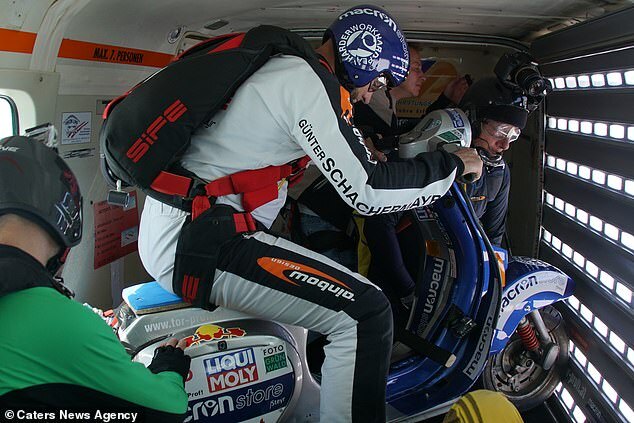 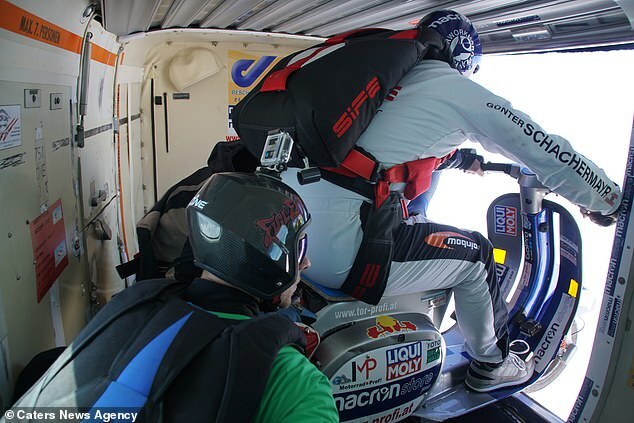 Schachermayr eventually becomes separated from his ride and deploys his parachute. 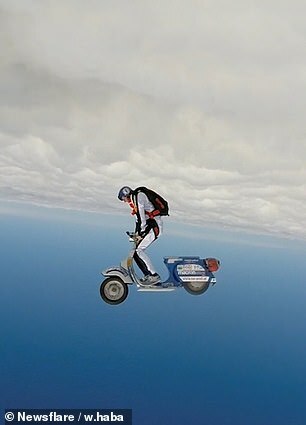 His Vespa, which has its own parachute, also sails safely back to the ground. 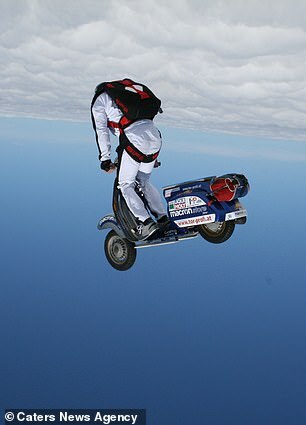 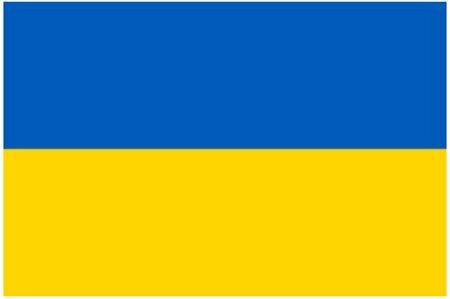 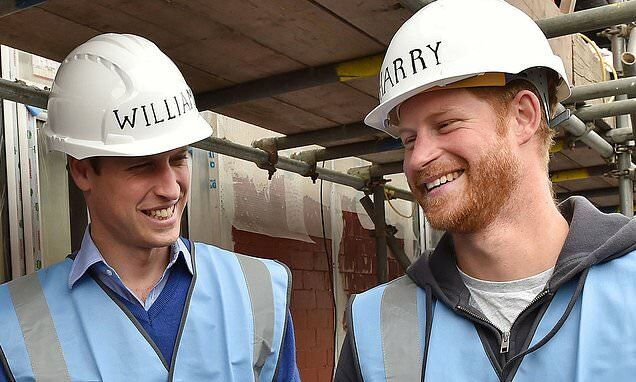 He previously did a bungee jump on his beloved Vespa and even rode it through a panel of glass.